From the diary of Boaz the Bethlehemite, Elder of the Tribe of Judah. The sixty-eighth year since the Tribes of Israel crossed the River Jordan into Canaan. My first memories are of the tents and of the color beige. Hundreds of thousands of tents. Tents organized in neat rows on the dry craggy landscape. Tents of burlap and tents of animal skins. Tents grouped by tribes. The tents of twelve large, proud tribes surrounded the inner encampment of the Levites and the grand portable Sanctuary nestled in the midst of our camp. And beige. Beige sand and beige rocks. Beige tents and beige clothing. Beige sheep and beige goats. Even the sun, which I had been told by the elders was normally yellow, suffered a beige-like diffusion as it vaguely penetrated the clouds that surrounded our camp since before my birth. As I grew up, I discovered other colors. The white and blue of the fringes all the men wore on the four corners of their garments. The red liquid that gushed out of the necks of the animal sacrifices the Priests and Levites offered daily in the Tabernacle – the center of our camp and the center of our worship. I learned about the colors of gold and silver and copper, and the madness it engendered in certain people. I was too young to appreciate the lust for money. I noticed the different colors of men’s beards. Almost every man of the tribes ofIsraelwas bearded. Most Israelites were dark-haired and dark-bearded, with notable exceptions. My fellow tribesmen, the descendents of Judah were often redheads, with flaming red beards. The descendants of Joseph, the tribes of Menashe and Ephraim had many blondes. Joshua, the most famous of Ephraim, sported a soft blond beard. And then there were the elders. Long, thick flowing white beards were the order of the day, with Moses having the most radiant white beard. Timmel also taught us laws. The laws of observing the Sabbath. The laws of the many sacrifices. When do you bring a lamb or a calf or a turtledove? The laws of working the land of Canaan– the land promised to our Forefathers. It was a highly social childhood. To live in constant proximity to millions of my people, all in tents, within a few square miles, is something that I still miss. Neighbors would hold long conversations outside their tents. One prank we used to play – I was already seven or even eight at the time – was to stand silently behind the talking adult men, with their long beards and loose fringes. Very quietly, behind their backs, on our hands and knees, we would tie the fringe of one man to that of his friend. Making sure the tied fringes were secure and unnoticed, we’d scamper behind a nearby tent. When the men would finish their conversation, each one walked in a different direction, only to suddenly halt and discover they were tied together. At that point we would roar our laughter and hunt for our next unsuspecting victims. The greatest pleasure ensued when we would tie the fringe of a particularly large man to that of his much smaller fellow. The force of the larger man suddenly pulling on the smaller one would throw the small man off balance, causing him to trip and fall over, inevitably bringing the large man toppling down on top of him. We achieved such wild success perhaps once or twice in our delinquent career, but cherished it for the rest of our lives. It was even worth Father’s punishment. I will not forget that day either. 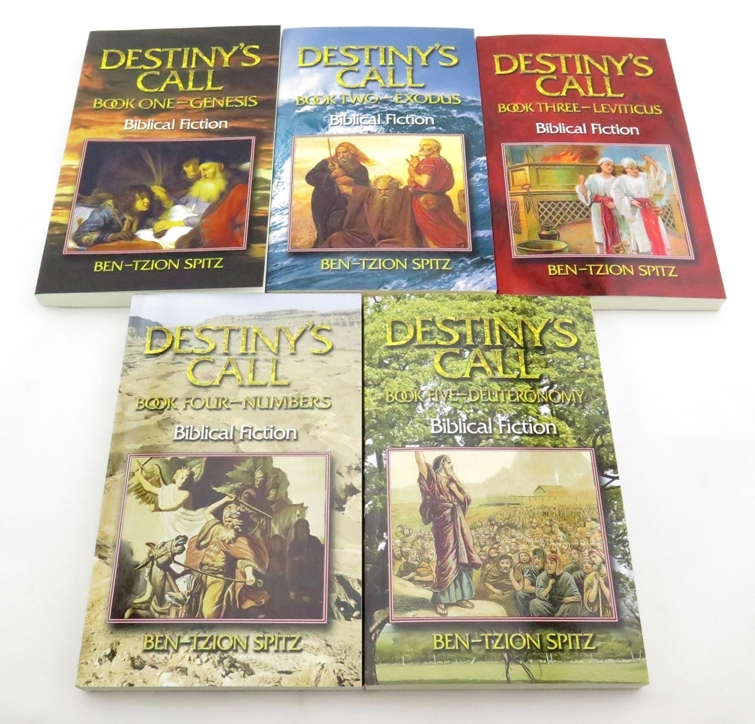 “Boaz!” Father bellowed as I entered our small tent. Mother was out. I did not have her usual protectiveness to ease the coming blow. “I’ve been told you caused Ralmel of Simeon to fall on Elitran, his cousin.” Father stood up from his papyrus scrolls and looked at me with violence in his eyes. His face was almost as red as his fiery beard. “What? Me? I wasn’t near the camp of Simeon.” I looked away, guilt and fear struggling for supremacy in my suddenly sensitive stomach. “No. Someone told me about it. It may have been other kids.” I compounded my lie. Father grabbed my arm with a hand as strong as steel. He took a wooden brush, the one Mother used on the wool. With the flat of the brush he slammed it savagely on my buttocks. I yelped in pain and shock. He slammed the brush again, on the same spot. Fire burned from my buttocks. “I’m sorry,” I repeated, with much less strength. Again, he slammed the brush on my burning buttocks. “I’m sorry,” I gasped, almost fainting from the pain. He raised the brush one more time and hesitated. I looked up at the outstretched hand in our small tent. He looked at me with strange eyes, perhaps trying to gauge how much more I could take. “Never. Embarrass. Me. Again,” he said through gritted teeth and let one last final blow fall on my numb buttocks. I thought they would fall off from the pain. I thought I would die from the piercing agony that radiated to every part of my body. My father released my arm and I collapsed to the hard ground, whimpering uncontrollably, my tunic soaked by my tears. I looked at my father towering over me and for the first time noticed the tears in his eyes. His face was a mask of emotions that I had no insight to decipher. I have never forgotten that day, or his stern temperament. I ever looked upon the fringes with mixed feelings and rarely pulled a prank from that day forth. Life in the dry desert was idyllic, though filled with miracles that we took for granted. The manna appeared every day with the heavy morning mist. It was a shock for me to learn, after crossing the Jordan, that it was not a natural phenomenon. In the desert, I never seemed to outgrow or wear out my clothing. My light woolen tunic grew as I grew. Small rips and tears in the garment disappeared the next day. My leather sandals stretched as my foot got longer. Born into this reality, we were both annoyed and excited about having to work the landof Canaan, to buy and mend clothing in the natural world. Now, in my old age, I miss the convenience of the miraculous. Moses. He is like a dimly remembered vision now. To say that we worshiped him would be an exaggeration. We revered him. We were in awe of him. We even loved him from a distance. But we were too stubborn and querulous a people to worship any one man. To worship the false gods or the work of our very own hands was natural enough, but to put our complete faith in a mere mortal of flesh and blood would always be a challenge. Nonetheless, Moses was a constant presence in the desert. He would routinely traverse through the regimented tents of the tribes. He would join for a few minutes one of the multiple lessons being given throughout the camp. He would sit on the ground next to the sage giving the lesson and often add: “Yes, God told me this,” or “God mentioned such a case,” as if he were talking about a friend he had conversed casually with just moments before. On one such occasion, on that memorable day when I was four or five, he sat between Timmel, our teacher, and me. 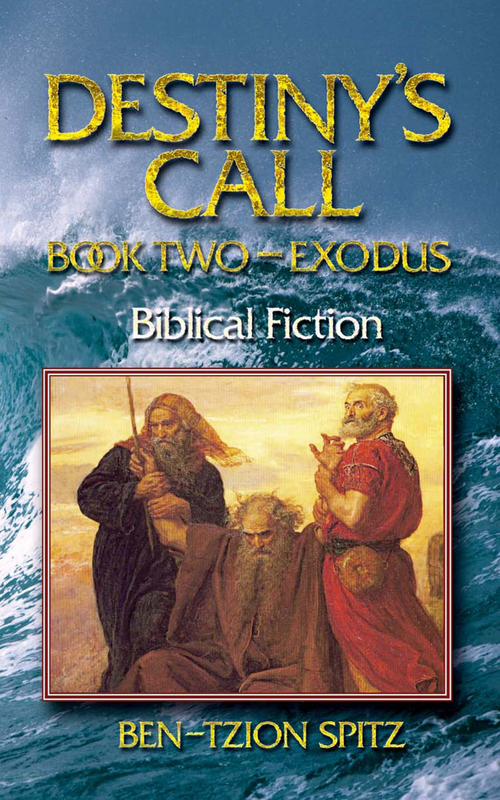 Moses added to Timmel’s description of the plagues that it was really Aaron who had facilitated the first three plagues: blood, frogs and lice. I wasn’t paying attention. I was mesmerized by his pristine white beard and the faint glow that surrounded Moses. Not able to control myself, I deliberately pushed my hand through Moses’ beard as he droned on. Sudden silence pervaded our circle. I felt a slight tingle as my hand passed through his beard. “What is it you seek, son of Salmoon?” Moses asked gently. I removed my hand, embarrassed that it had bothered him, though pleased with the tingling sensation and his kind attention. Moses caressed my cheek. That is my fondest memory as a child. That and the day God commanded Moses to die.